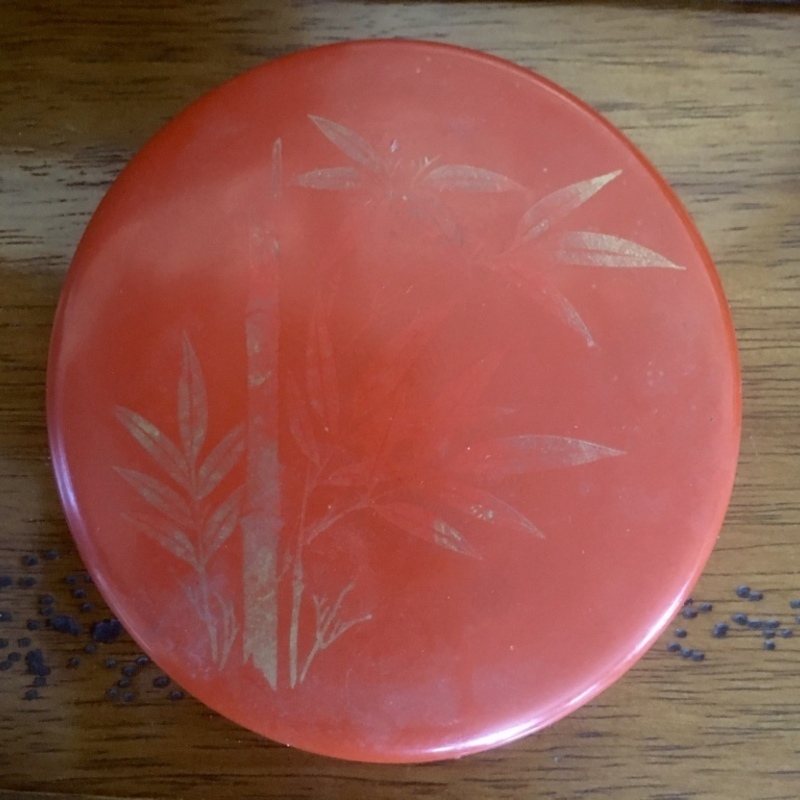 This bowl and coaster set was made in occupied Japan after World War II (as denoted by the word JAPAN) with parcel gilding on red lacquer. They were made for the export market and items like these can be found fairly frequently on the market. The condition seems to be fairly good, but too much use may wear away the lacquer, eventually devaluing them, so, for the most part, have a decorative value. I hope this information is useful to you. Please let us know if you have additional questions, and thank you again for using Mearto. The items I have been inquiring about are not for sale. The owner seeks only to have them appraised for insurance reasons. Should the items be insured for more that the auction price appraisals? Generally speaking, insurance values are usually higher than auction values. Many of our appraisers are certified, but our appraisals are not certified for insurance. All of our appraisers can do this, but the cost is a little more. Let me know if this is still something you'd like and I can give you a quote for the insurance appraisal and put you in touch with a certified appraiser. The insurance appraisal for this item is $80.